....when you always do what is good and right. I guess it's because it makes THEM look bad. Thats what happened with Daniel. The King of Babylon, King Belshazzar, died, and Darius the Mede became the new king. King Darius decided to appoint a hundred and twenty supervisors and governors to help rule over his kingdom. And he made Daniel and two others their boss. The other supervisors and governors didnt like it. Daniel worked harder, and did much better work than any of them. The King was so impressed he was going to put Daniel in charge of the whole kingdom. We have to do something about this Daniel, the supervisors, the governors, the lieutenant governors, and all the other officials said to themselves. But no matter how hard they looked, they couldnt find anything wrong with Daniel because Daniel was completely faithful and honest in everything he did. Maybe we can use his religion against him, they said. And so they came up with a devious plan. King Darius accepted the idea of the supervisors, the governors, the lieutenant governors, and all the other officials, and signed the decree. It became a law of the Medes and Persians that could not be changed. Daniel heard the Kings decree, but still, the next morning he went to his window to pray, just as he did every morning, noon and night. This was exactly what the supervisors, the governors, the lieutenant governors, and all the other officials were looking for. They went straight to the king. When King Darius heard this news he was very sad. He knew that Daniel was a good and honest man, who served him faithfully. And so he worked into the night, trying to find some way to rescue Daniel. But he couldnt. The supervisors, the governors, the lieutenant governors, and all the other officials came back the next morning and demanded, Your Majesty, you know a law of the Medes and Persians can never be changed. 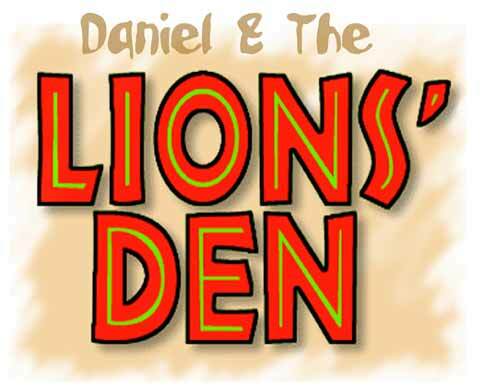 Daniel must be thrown into the lions den! Which was just what they wanted all along. And then the kings men grabbed Daniel and threw him into a pit filled with pacing, roaring, hot-breathed lions. They rolled a stone over the mouth of the den, and the King sealed it with his royal seal, so that no one could move the stone and rescue Daniel. That night, the king could not sleep at all. ...just as the sun was beginning to rise, the king ran to the lions den. He shouted out, Daniel! servant of the living God! Was the God you serve so faithfully able to save you from the lions jaws? The king was so happy. Immediately he ordered his servants to pull Daniel from the lions den. There wasnt even a scratch on him. 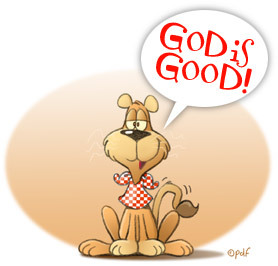 Everyone saw that Daniel had trusted God, and God had saved him. And then the king sent for all the supervisors, the governors, the lieutenant governors, and all the other officials who had accused Daniel. They were in trouble now! Right then and there, the king had them arrested and thrown into lions den themselves. The lions were not so friendly this time. Greetings, people of all nations, races, and languages! I, King Darius, decree that all people everywhere should honor and fear the God that Daniel serves so faithfully. who rules for all time. and his power will last forever. He rescues and he saves. Once again, Daniel was faithful. And God was able to show us that he is always able to do great and wonderful things.